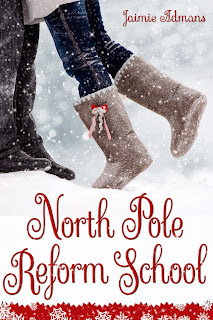 I absolutely loved North Pole Reform School. Who would have thought the elves would kidnap people who ruined Christmas and try to reform them into lovers of Christmas? This year a group of 5 are taken, and they are quite the interesting bunch. Our star is Mistletoe Bell (such a great holiday name), and she is bound and determined to hang on to her hate of the Christmas season. It will be up to the elves to transform her and the four others completely. The story is an interesting mix of Christmas spirit, youthful rebellion, and zombie apocalypse (yes I said zombie in a Christmas book). It was funny and quirky while being completely uplifting and sappy in a perfect sort of way. This is a great book to get you into the mood to have fun and really enjoy this holiday season. I’m still looking around for a weapon when two people walk in. No, they can’t be elves just because they’re small and dainty and wearing red and green outfits. And they have pointy ears. A little bit like Luke’s, actually. “Another one of what?” Luke asks. We all shake our heads in bewilderment. Navidad walks over to one of the other doors and goes inside. Navidad comes back out. “Bit of a problem, Tinsel. He appears to think he’s dead.” He says it in what is supposed to be a whisper to his wife but we can all hear him. “You know we can hear you, right?” Luke asks. “What, Elf Boy? Why’d you have ears like theirs? 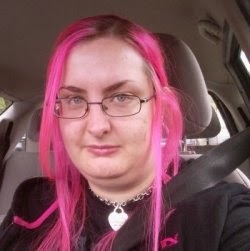 Why do you have elf ears? Something you want to tell us?” Joe questions Luke. “I think you’re—” Joe starts. Tinsel walks over and goes into the room Navidad just came out of. We all go over to crowd around the door and look in. Even Duck Lady has got off the sofa and joined us. The small room looks the same as the one I woke up in. A small window on one wall, a couple of feet of space between that and the bed. In the corner of this room is a boy, cowering on the floor, the sheet from the bed wrapped around himself and clutched to his chest. Tinsel is crouched in front of him, talking gently. We hear her telling him he is safe and nothing bad will happen to him. He doesn’t look like he believes her. “Let me help,” Duck Lady says and pushes herself into the room with the boy and the elf. Even as I think it, I can’t believe I’m taking this seriously. Elves don’t exist. Santa and his village in the North Pole don’t exist. And yet here I am, watching an elf try to cajole a little boy into believing he isn’t dead. Luke is squashed in the doorway next to me and I can’t help but look up at him. He really does have the same ears as Tinsel and Navidad. He must sense me looking because he glances down and winks at me. I can’t help but smile back. Now Duck Lady is crouched in front of the boy too, and Tinsel seems to have taken a step back. Maybe Duck Lady has gone to tell him he’s being watched by ducks; no doubt that will make him feel better. She eventually pushes us back far enough that she can shut the door in our faces. “Yeah, well not everyone is sane,” says Luke. “We’ll explain everything in a minute,” Navidad says. Luke and I groan simultaneously. “Yeah, well not everyone is sane,” Luke repeats. The door opens and Tinsel comes out, closely followed by Duck Lady and the dead boy. “The most important thing is for you to tell us what the hell is going on here,” Luke says. Duck Lady goes up to take her outfit and the little boy follows. We go and get our outfits too, and I go back to my room to change. Luke was wrong, though. It can be worse than thermal long johns, and it is. Much worse. They’ve given me an elf outfit.